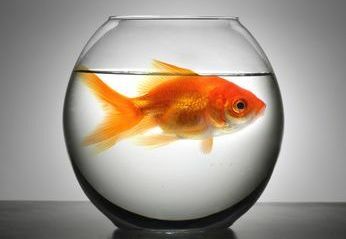 Large fish in a very small bowl (photo-shopped, no fish were harmed in the making of that image). Illustration for a cramped workspace. File: #5728025 by Author: Mikael Damkier with permission from Fotolia.